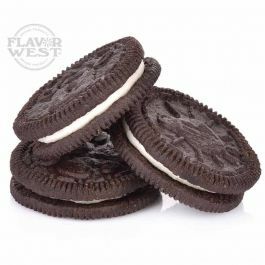 Enjoy the taste of cookies & cream flavors filling your mouth with awesome richness. This perfectly ever delicious flavor is ideal for slightly sprinkled crushed cookies & cream pastries. Type: Cookies & Cream Water Soluble Flavoring. Ingredients: Natural and Artificial Flavoring, Propylene Glycol. USP Kosher Grade Flavoring. Usage Rate: 15-20% for E-use. Flavor suitability: beverages, desserts, drinks, candies, caramel, baking recipe and more. Specific Gravity: 1.03 No Refunds on Flavoring.